This form has not been activated yet. Click here to manage your activated forms. I’m just sure 1 form (the right one) is active. We just need 1 form in 1 site sow the free version is enough.
. Are you able to export a merged PDF from the plugin’s EXPORT tab?
. Is there an embedded form in the 1 Formidable form?
. 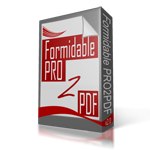 Try deactivating the 1 Formidable form and then activate and test a different Formidable form with a new pdf that has only one field. If the merge works, try activating the correct form and test it by merging to the new one field pdf. If it works, there may be an issue with the PDF. If the merge does not work, it may be an issue with the Formidable form.
. Provide answers to the above. Or, complete this form to have us login and take a look at your installation.